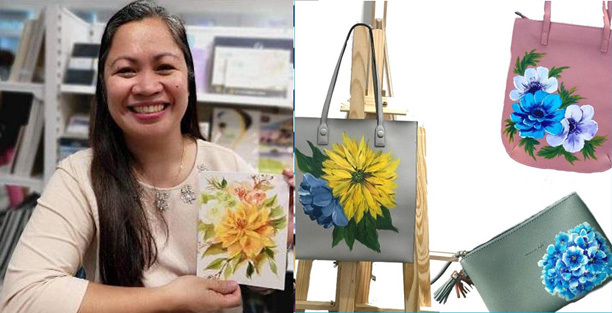 Beth Robles of PlayCrafts PH is holding a one-day workshop on acrylic bag painting on April 27 at Sunshine Place in Makati City. Beth Robles of PlayCrafts PH holds a one-day workshop on acrylic bag painting. Robles will share her expertise on painting flowers such as anemones, dahlias, peonies, hydrangeas, and roses on bags. Prior to this upcoming workshop, she has already conducted calligraphy workshops and floral painting workshops using different media such as watercolor, gouache, soft pastels, and acrylic at the senior recreation center. The workshop will be held from 10:00 a.m. to 2:00 p.m. Call 0917-8933506 or email [email protected] for inquiries.